These are some of the best muffins Geoff and I have ever tasted – including those we’d tried before going gluten free. But we figured they would be since the blog’s preamble to the recipe included: “This one is for you Mom, to give you some good recipes for the 5lb bag of almond flour I convinced you to buy!” Who wouldn’t post their absolute best almond flour recipe after saying that! Geoff and I were intrigued by these muffins because they looked an awful lot like some almond flour muffins we’d purchased at a farmer’s market while on holiday and had been yearning for ever since. It turns out these are actually better than those market muffins. 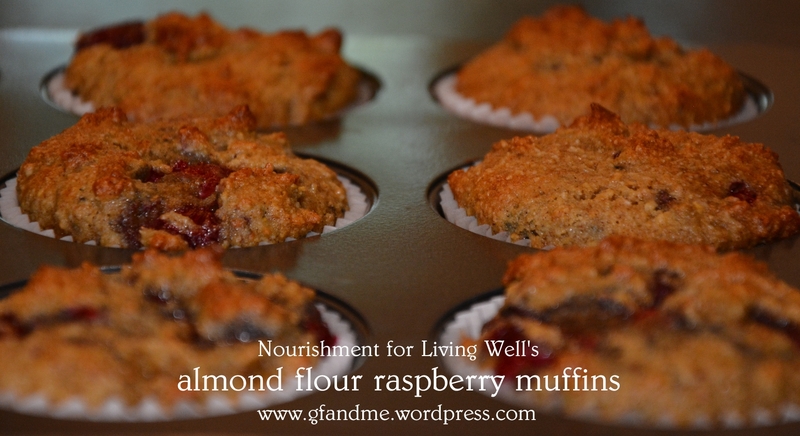 Thanks so much to Nourishment for Living Well for the recipe. Read our review and find the recipe below.